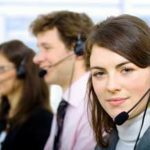 Here are several of the deeper reasons that prospect don't return calls of people in the sales field. Not including the "I'm not interested" or a "I'm busy" line. 1. Your voice mail message is too long. When make a decision with a decision make the key is following the "three C's" (clear, concise, and correct.) Decision makers are too busy to listen to prolonged messages, especially from people who they don't know and are trying to sell them something. Try to keep your message to 15 seconds or less. 2. Cryptic voicemails don't work either. On the other hand, a brief voice mail with no details will not likely implore someone to return your call. It's paramount to give a prospect enough information to capture their attention and say, "I need to return this call." 3. You leave the same voice mail message. Persistence is a big part of the battle when dealing with many prospects. However, if you want someone to return your call, the chances of them returning your call are higher if you leave a unique message every time. 4. You have not developed a relationship. In today's landscape, people prefer to do business with dealers and retailers they know and have relationships with. 5. You sound like every other sales person. Your message MUST be different from every other call they receive. On a few occasions I have sit in the office a VP of Fortune 500 companies as they listened to their voice mail messages on speakerphone and was intrigued by how similar every sales call sounded. I was equally captivated by how quickly they deleted the messages, too. Their finger hovered over the delete button, and deleted 95% of the voicemails within the first three seconds. 6. You have not done any research. When you leave a voice mail that shows that you don't know anything about your prospect's business, there is no chance they will return your call. At the bare minimum a successful salesperson does some basic research and make sure when you leave a message that it reflects that you know something about the company. Doing so will greatly improve the odds of a prospect calling you back.